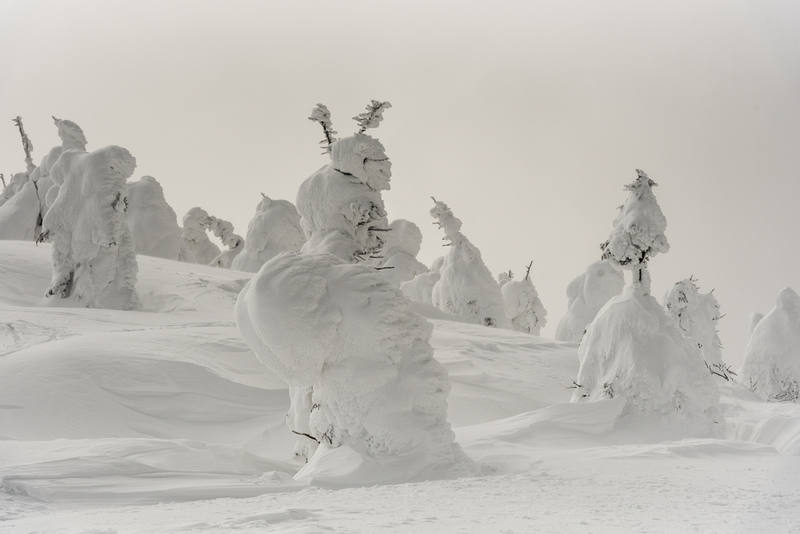 A specific combination of strong winds, low temperatures and snowfall on evergreen conifer trees is required for snow monsters to form. 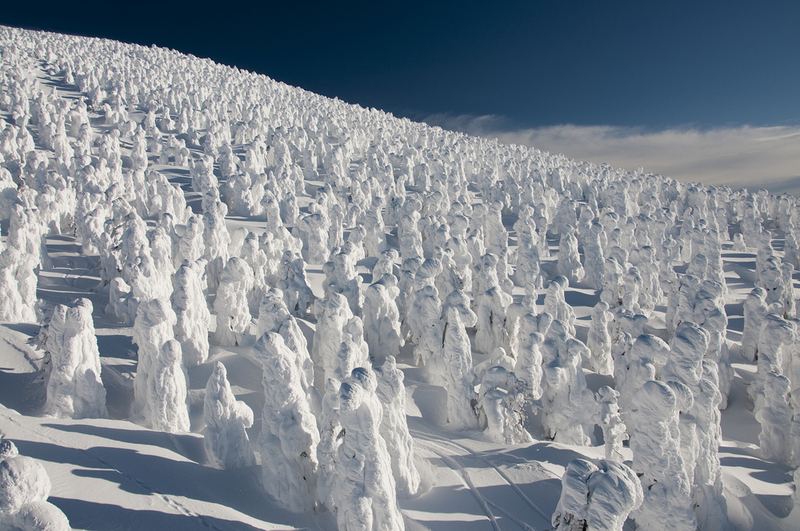 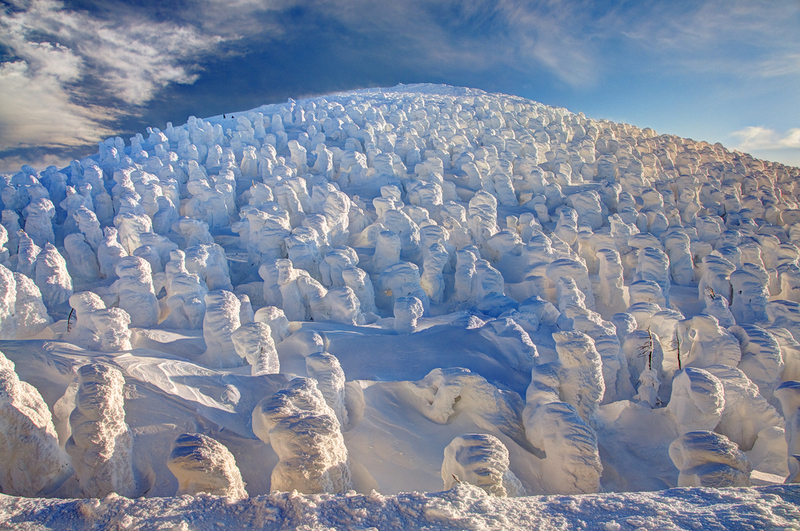 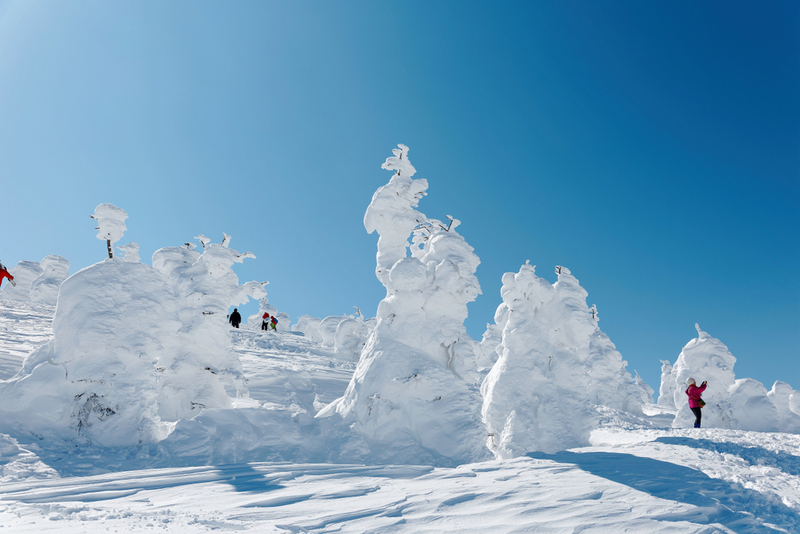 Juhyo forms at a few other places in Japan, but Mount Zaō is the most accessible and thus the easiest way to experience the snow monsters. 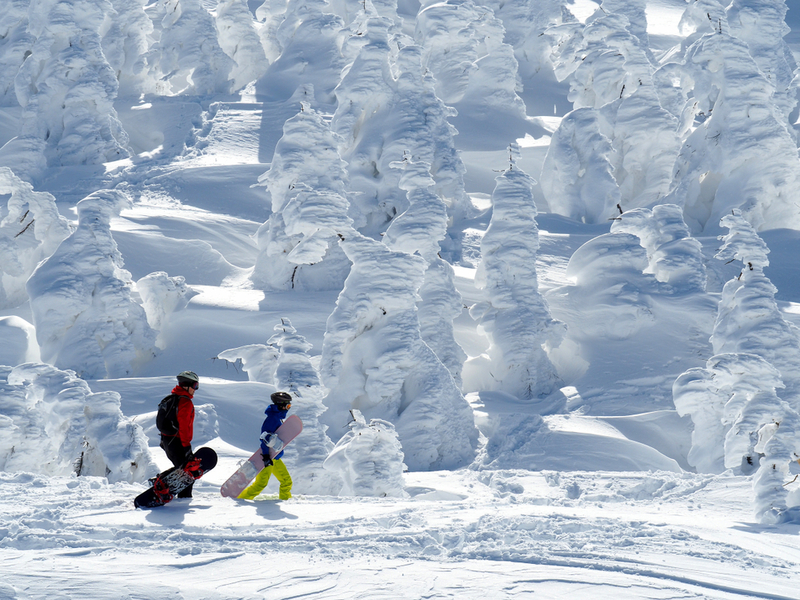 Mount Zaō is also the site of a hot spring and a ski resort. 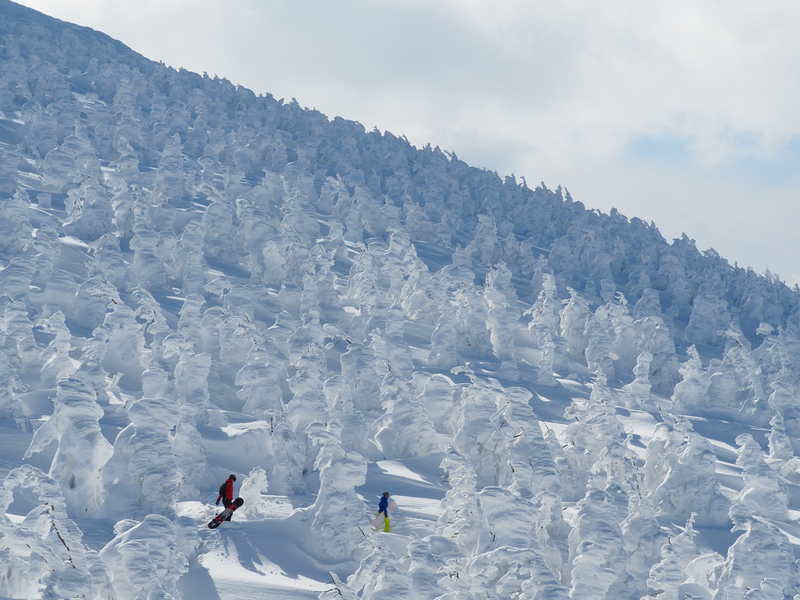 There are ropeways there from which one can have the best views of juhyo. 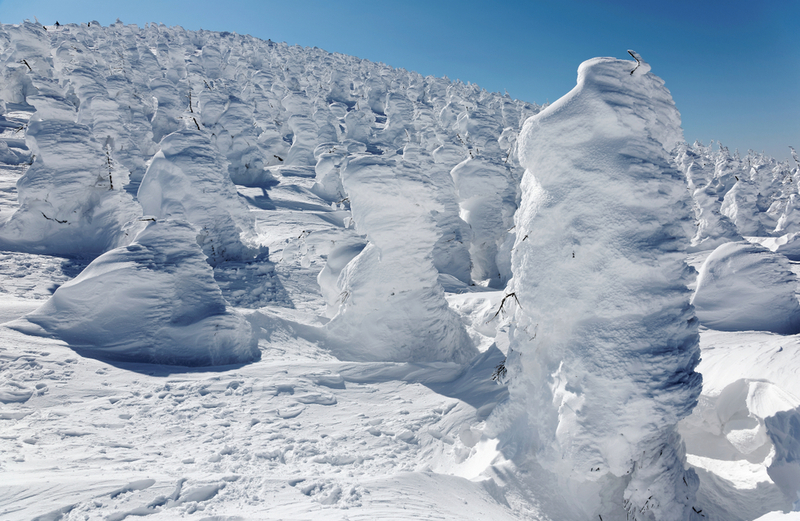 The juhyo season starts from around the end of December and lasts until the end of February.